Hi guys! :3 Revealing new cosplay plans and bringing you a new review! 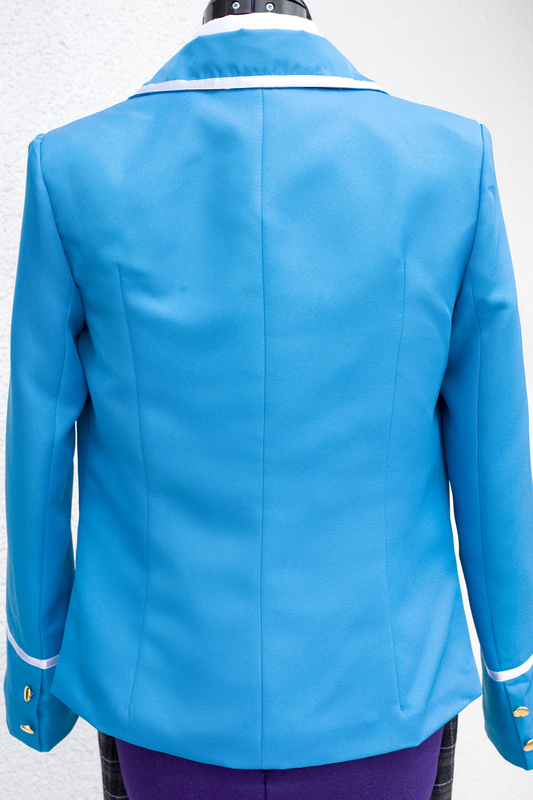 The material used for the blazer is the standard farbic you might know from many Asian cosplay shops. (Cannot say what kind of fabric it is, because it’s not written on the inside for most custom-made cosplays) It’s not too thick and not too thin. Just very fitting for a blazer. The cravat is the same fabric. 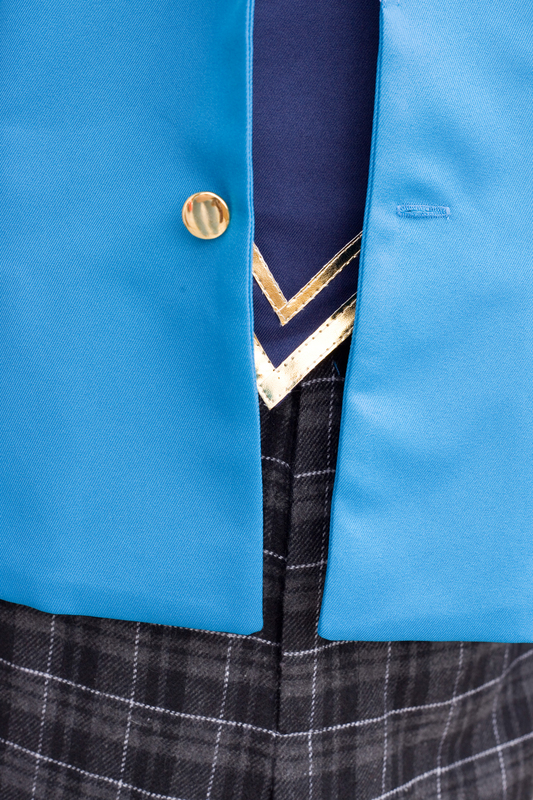 The school emblem on the blazer is stitched and looks very neat. I like this a lot! (*^*) The shirt is a thinner fabric and looks just the same as of any other shirt you might buy in a shop. What I like best is the choice of fabric for the pants! The pattern looks perfect and the fabric has a little woolen look! I think this fits so well for a pattern like this and I have never seen such a material used for a bought cosplay before. I was really surprised and happy! Despite the woolen look, it’s a rather thin fabric so it won’t be too hot when you wear it, but I still think this cosplay would be best for an event in autumn or maybe early spring. 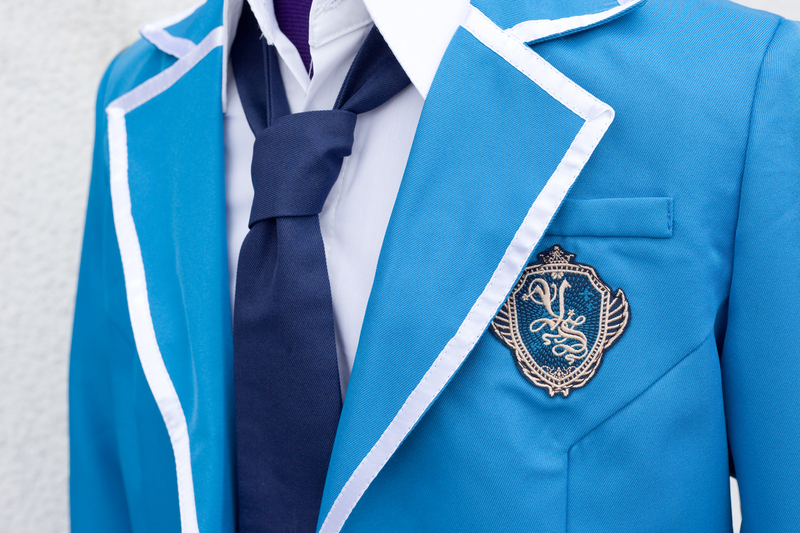 The buttons were are little loose but this is a minor problem because it can be fixed easily with a few stitches. They didn’t fall off, but I prefer to be on the safe side and sew them on again, just to make sure I won’t lose any at the event. Apart from this, the quality is really good. There’s nothing to criticize. 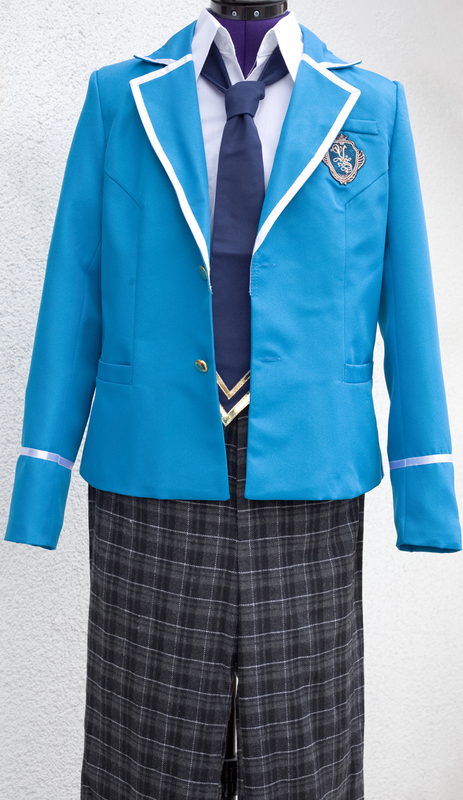 All in all, this cosplay is very nice and a good choice for a cheap price. If you consider cosplaying Ensemble Stars, I can absolutely recommend it. ^^ Can’t wait to wear it in autumn!